Women's Original Sheepy Fleece Cuff Boot Socks is rated 3.4 out of 5 by 5. With a textured shearling-look cuff, the Original Boot Sock is crafted from fleece to keep feet cozy, and is designed to be worn folded over the Original Tall Wellingtons. In a range of seasonal shades, this sock is perfect for festivals. Rated 4 out of 5 by Anonymous from Warm and well fitting I persist thieves a month ago I've been wearing them with my hunter tall boots ever since. 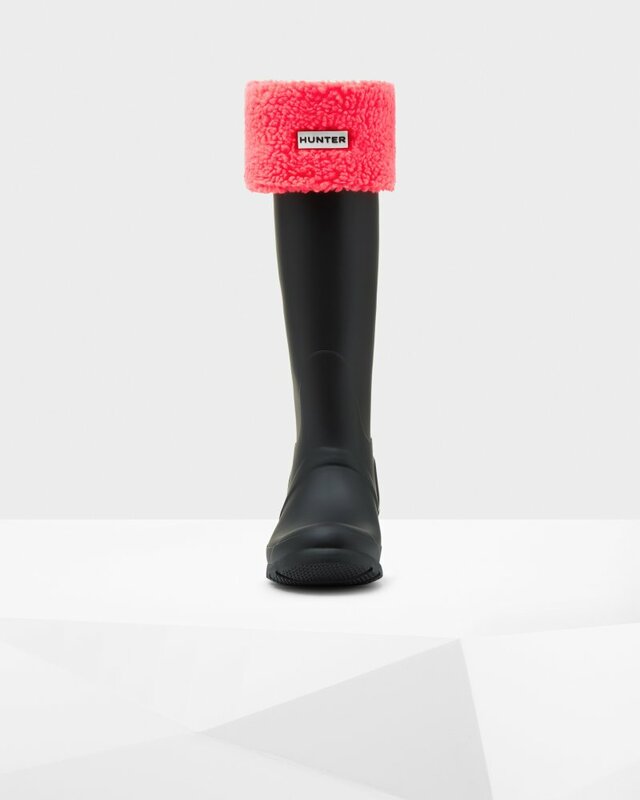 They've added a lot of warmth to the Hunter boots which don't really offer a lot alone. They seem of high quality and fit well. I've had several compliments on them and would definitely purchase them again. Rated 1 out of 5 by Sunshine from VERY THICK I bought these socks and I am NOT able to wear them with my rainboots as planned because they are TOO THICK. Rated 5 out of 5 by Lisa M from Perfect fit! I love the way it feels against my skin and it did not make me feel hot. It’s a perfect snuggle fit and therefore the rain doesn’t fall into your boots when it’s windy and rainIng. Rated 5 out of 5 by Kris from Great addition to my boots! I bought these about a month ago and I am so glad I did! Just in time for the 12 inches of snow we just got!